1. 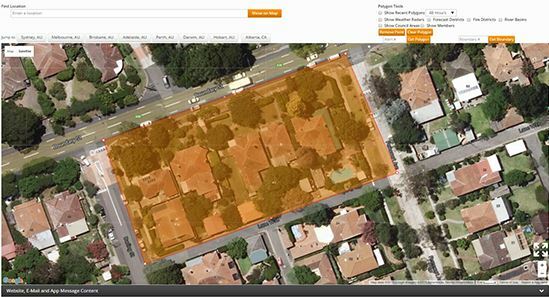 Polygon on Map - Draw a polygon or use a pre-loaded polygon to send alerts to residents in the polygon area only. 2. Group Sending - Send alerts to all residents within groups. Both methods of alerting will send the alerts to residents via SMS, Email, Landline (Voice to Text), Social Media and Push Alerts (where combined with a Mobile App). Alerts are sent within minutes using our multiple gateway set-up ensuring there are no delays. All alerts sent include a live send delivery information bar plus full historical record keeping including full recipient lists as per CAP protocols.